The Carthusian Charterhouse of San Martino is a one of the most rewarding museums and historic destinations in Naples. 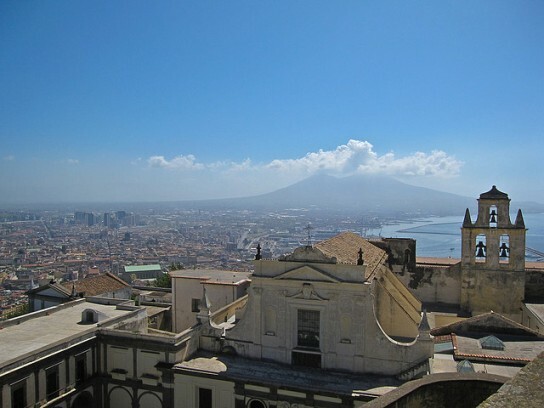 Home to the National Archaeological Museum and the Capodimonte Museum, Naples is a travel destination for art lovers. 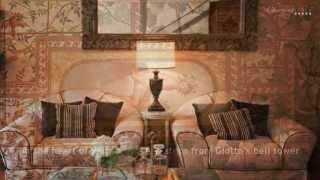 Here is a gem in Naples that many visitors miss during their travels in Campania. 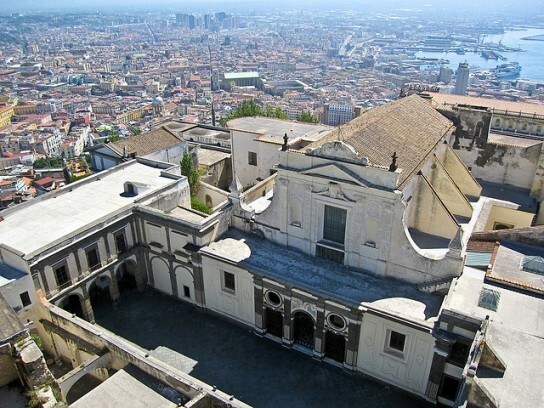 Sitting high atop Naples in a scenic spot of the Vomero district, the Certosa di San Martino is a monastery of the Carthusian Order dedicated to St. Martin, the Bishop of Tours. The Certosa, or Charterhouse, was founded in the 14th-century by Charles, Duke of Calabria, who was the son of King Robert d’Anjou, the King of Naples. 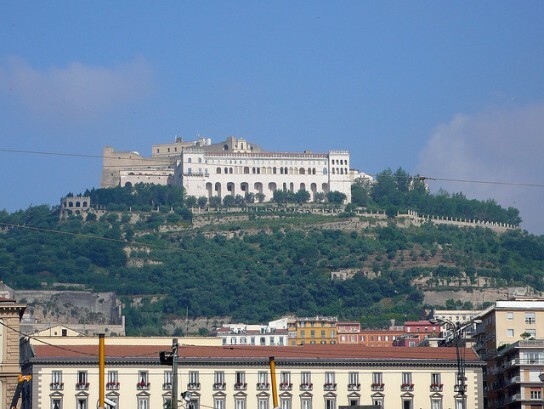 The Certosa was set atop a hill near the historic center of town near the Castel Sant’Elmo, which was the castle and royal residence of the king’s family in the 14th century. The crenellation and design of the Certosa are even similar to the nearby castle, both of which were worked on by the architect and sculptor Tino di Camaino from Siena. The dominant position above the city made it a safe and ideal location, and over the centuries the Certosa di San Martino developed into a grand monastic complex. 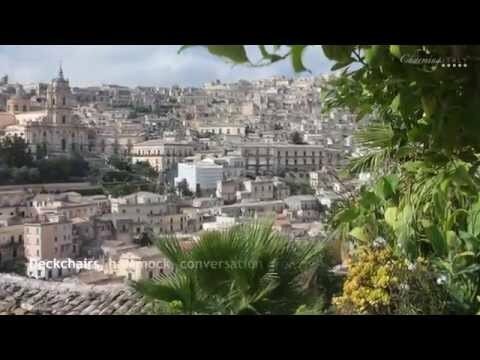 The views from the gardens are simply stunning, overlooking the entire city as it curves around the Bay of Naples with Mt. Vesuvius looming in the distance. Across the bay you’ll spot the curves of the Sorrento Peninsula and the island of Capri just off the tip. The design of the Certosa carefully follows the strict architectural plan and precepts that were outlined and required by St. Bruno of Cologne, the founder of the Carthusian Order. Today the Certosa is home to a museum with a rich collection of historic documents, Neapolitan painting from the 16th-17th centuries, Christmas nativities and many other important works. The monastery church is a museum in itself, decorated with works by important architects, sculptors and painters of the 17th century, such as Cosimo Fanzago, Giuseppe Sanmaritano, Domenico Antonio Vaccaro, Guido Reni, Luca Giordano and Battistelo Carraciolo. 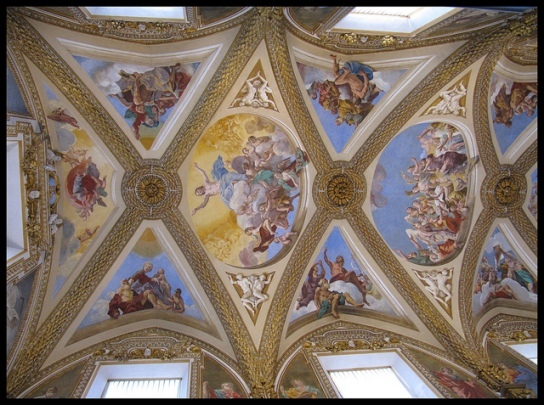 Inside the church, the eye is immediately drawn up to the beautiful curves of the ceiling covered with frescoes by Giovanni Lanfranco from 1637-40 depicting the Ascension of Christ surrounded by angels and glorious golden light. The fine marble inlay around the church was designed by Cosimo Fanzago, one of Italy’s greatest Baroque architects and sculptors. Cosimo Fanzago gave his hand to the complete redesign and redecoration of the Charterhouse in the 17th century, including the Great Cloister. Walking around the cloister you’ll spot the statues of blessed Carthusians and a small cemetery for the monks marked by skulls on the balustrade. Carthusian monks lived a secluded life in their cells, leaving only for prayer services at the church. Surrounded the courtyard are some of the cells, which feature a door and a little window. Daily meals and communication via written notes took place through these special rotating windows that allowed food to be passed through while still isolating the monk. The Certosa di San Martino functions in a very different way nowadays, but a sense of tranquility still fills the air. The corridors, cloisters and rooms of the monastery complex have been transformed into a beautiful museum setting. 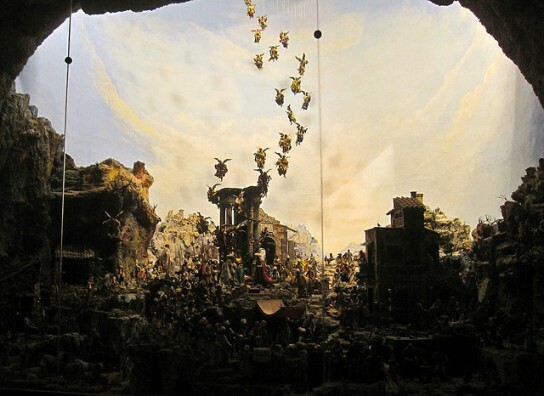 The collection features works documenting the history of Naples, decorative arts, 19th-century Neapolitan art and one of Italy’s finest collections of presepi, or Christmas nativities. 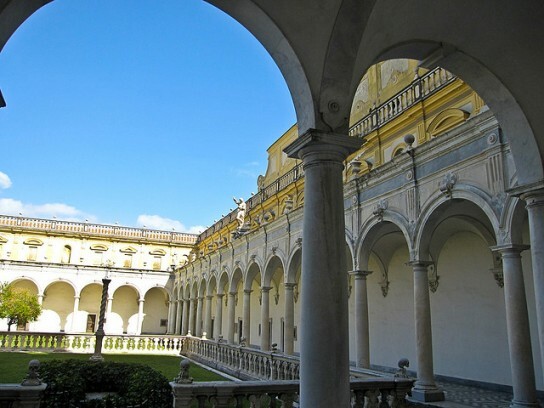 Strolling through the peaceful cloisters and grounds of the Certosa di San Martino is a fascinating way to learn about and discover an important piece of the history of Naples.